My poem Why I Believe in Monsters recently won third prize in the 2007 Anita McAndrews Award poetry contest, a contest put on by the organization Poets for Human Rights. It has been a good December. The Anita McAndrews Award poetry contest was established in 2006 by Anita's seven children to commemorate their mother, a poet, artist, journalist and human rights advocate whose 82 years of life epitomized the spirit of Poets for Human Rights. I'm honored to place in this contest that brings human rights to the forefront; thanks to Stazja McFadyen for the contest opportunity and Dr. Marvin G. Kimbrough who judged the contest and deemed my work worthy of commendation. 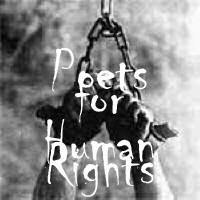 If you'd like to know more about the organization Poets for Human Rights, click here. If you'd like to read my 3rd place poem Why I Believe in Monsters, as well as the other winners in the Anita McAndrews Award poetry contest, click here.